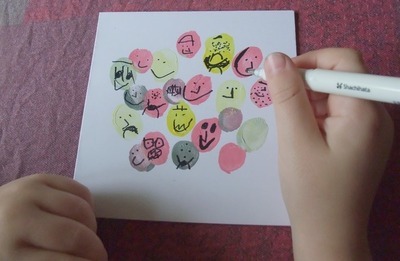 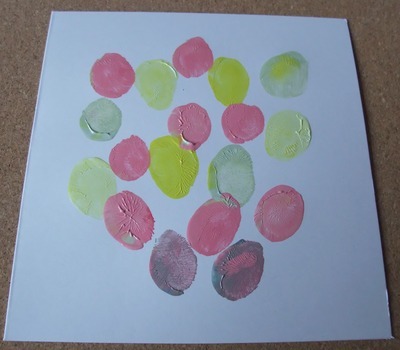 This is a fun and messy way for your kids to make Birthday cards for family and friends - thumbprint bouquet of flowers! 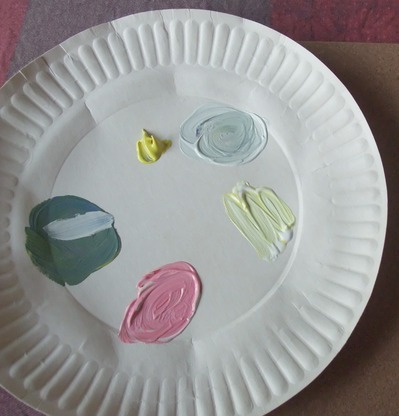 On a disposable plate add a soft palette of paint colours. 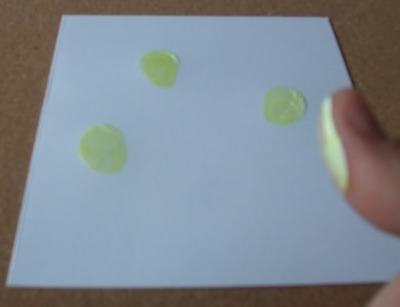 Dip thumb on plate then press onto your blank card or paper, going through the colours one at a time. 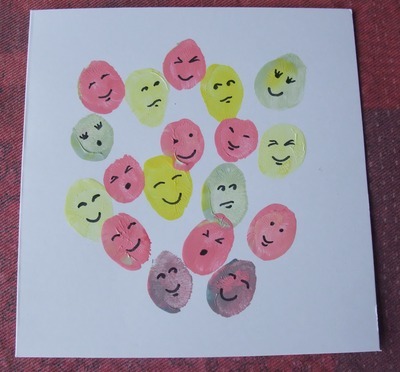 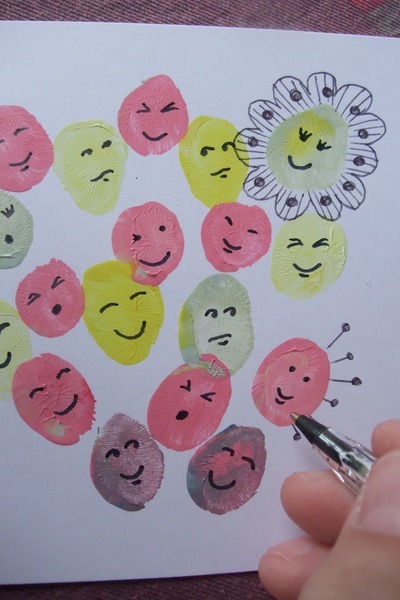 When the paint is dry, draw faces on the thumbprints. 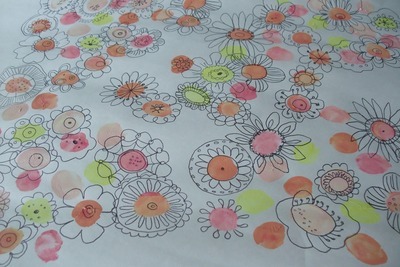 With a black marker pen, add floral petals around the thumbprints. 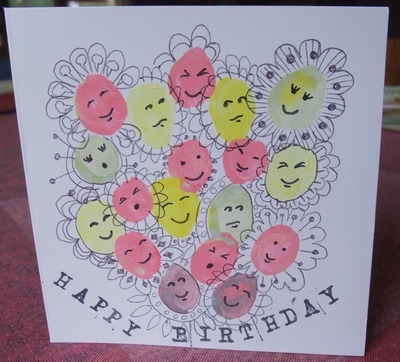 Write or stamp a Happy Birthday Greeting.